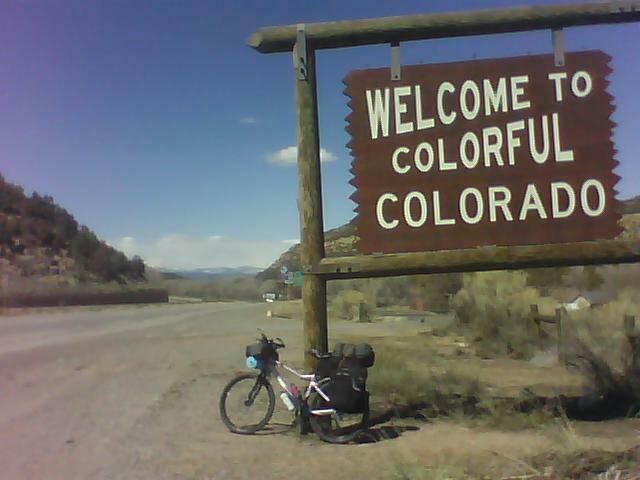 After eight days on the road, my bike and I crossed into Colorado at about 1:00 in the afternoon. This was a watershed moment for me. I was back in Colorado, my previous home for 18 years, and I had gotten there the hard way. Though my legs had felt tired all day, and though I had climbed a few thousand feet to get there, I experienced a great rush of adrenaline and excitement. 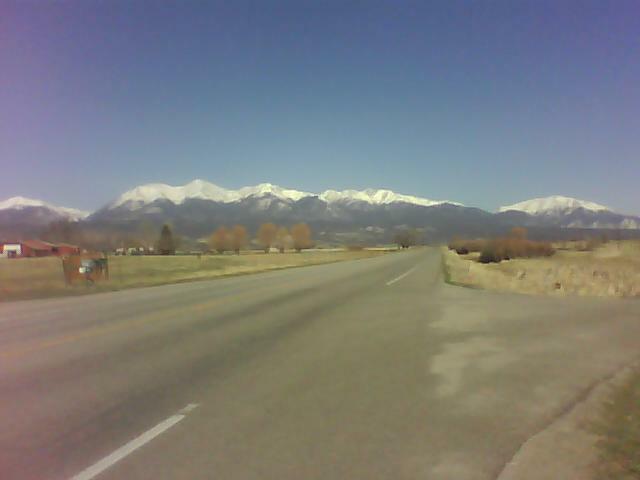 At that moment, I felt as if I could pedal all the way to Denver without stopping. Circumstances would soon conspire against me however, as the heavily travelled road narrowed dangerously. 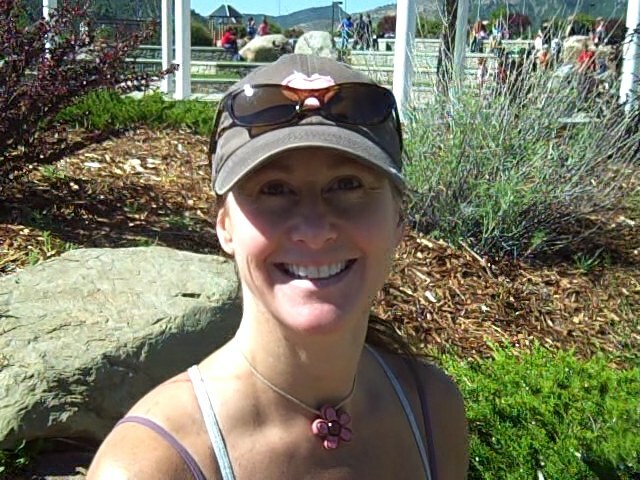 With cars, pick-up trucks, SUV’s, and 18-wheelers blowing by at 85 mph within inches of my left hip, I decided to stop and call my friend Kim, in Durango, and ask her to come and get me. I had only travelled 28 miles this day, but I was exhilarated by what I had accomplished. 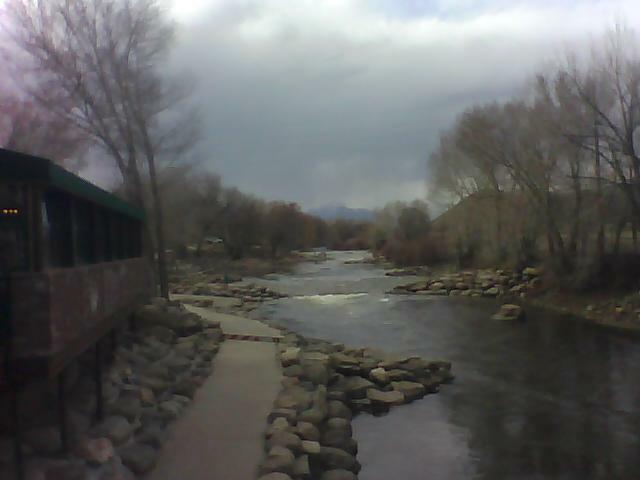 I’d made it to Colorado, and it felt like coming home. Holy crap…look where I am! 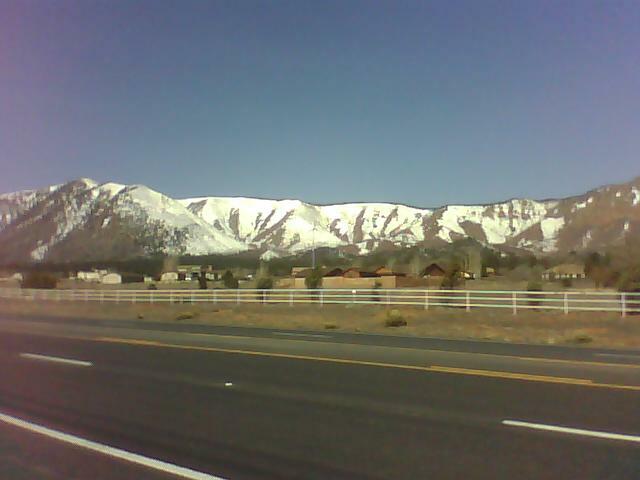 My favorite pic from The Ride, April 7, 2010. 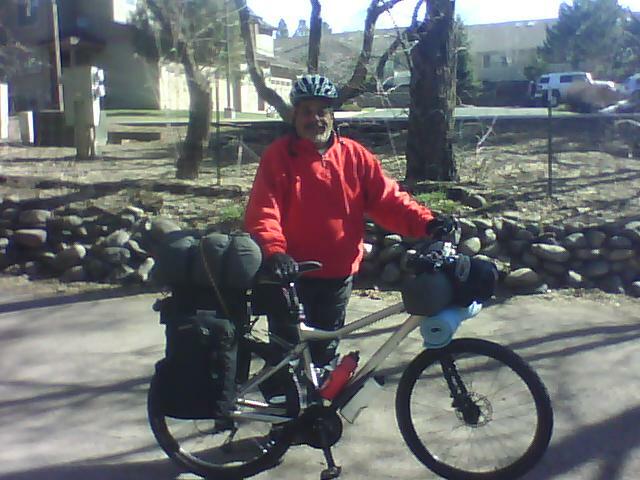 I did a lot of miles from April 3-5 last year, pedaling 140 miles across the Reservation in northern Arizona, much of it in howling winds of 40-60 mph, and a major dust storm as well. The wind during this portion of the trip was some of the worst I’ve ever experienced; which is saying something, having lived in Colorado and Arizona for a total of 28 years now. The dust storm on my third day on the Res however, was truly amazing. The dust rose 12,000 feet into the air above me and, because it was at my back, I flew eastward along the highway. 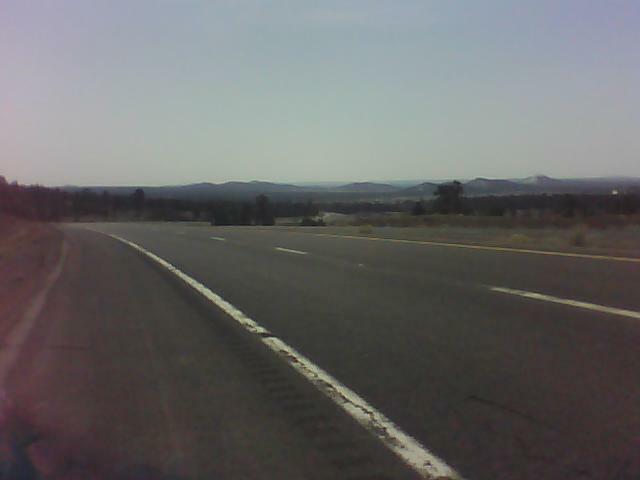 Until, that is, the road bent a bit south and the wind shifted a bit east, then I was riding for my life, constantly leaning to my right at about 20 degrees, trying desperately to stay on the shoulder instead of being blown into traffic. After 12-15 miles of this struggle, I gave in and stuck out my thumb, hitching a ride into New Mexico, which might have literally saved my life. Have I said this ride was adventurous? At times, it truly was. 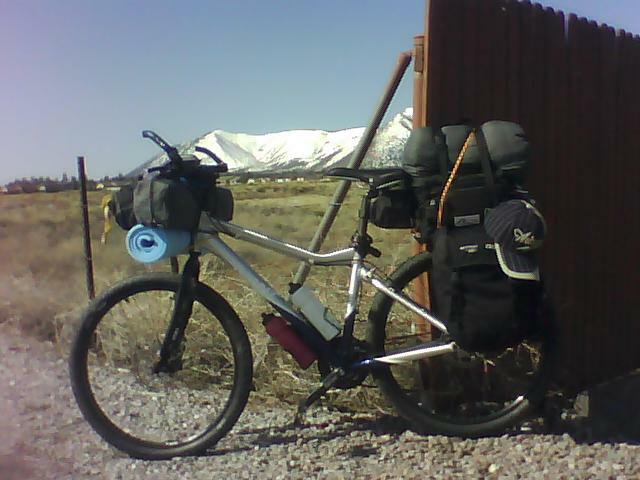 Cycling across the Reservation in northern Arizona, April 2010. After two nights in Flagstaff, AZ, I hit the road again, heading north to the Hopi Indian Reservation, a desolate place, yet the most direct route to Colorado. Leaving Flag provided some great scenery to enjoy. I was riding at about 7000 feet now, a real challenge for a man who’d spent the last two years riding below 2000 feet. I didn’t seem to feel it all that much however, for I was very focused on the ride this day. I was also feeling pretty strong after two nights of rest in a Motel 6 which, by the way, at only 25 bucks a night had seemed like a five-star resort to me at the time. One of my favorite shots...30 mis north of Flag. I stopped about 30 miles north of Flag for a banana and OJ breakfast, and took the above pic, one of my faves from The Ride. The gas station/convenience store was in the middle of nowhere, as are most things on or near the Res. After 51 miles, a relatively easy ride due to the rolling terrain, I’d made my goal for the day, a small stop on the road called Cameron, AZ, about thirty miles east of the Grand Canyon. A hamlet of about 1000 souls with a gas station, convenience store, and a tourist trap of an artifacts store, as well as a small camping area, I paid my $17 to pitch my tent on a small patch of grass behind one of the buildings, in an effort to shield myself from the wind (which was only moderately successful). The wind would definitely become my nemesis over the next couple of days. It can truly howl across the Res, with little or nothing to slow it down. As I settled into my little tent that night, listening to the wind grab at my tiny portable home, the forecast was for winds to 60 mph on the following day. The only saving grace for me was that it would be coming from the west or southwest, while I would be riding east and north-east. I was hoping to finally find a tail wind! Here is a link to Google maps, showing just how desolate this area is: Cameron, AZ. Most of the ride through the Res looked like this, unless the hills were bigger! I have to admit, I was very proud of myself this day. I had ridden further than ever before, and at a good pace. 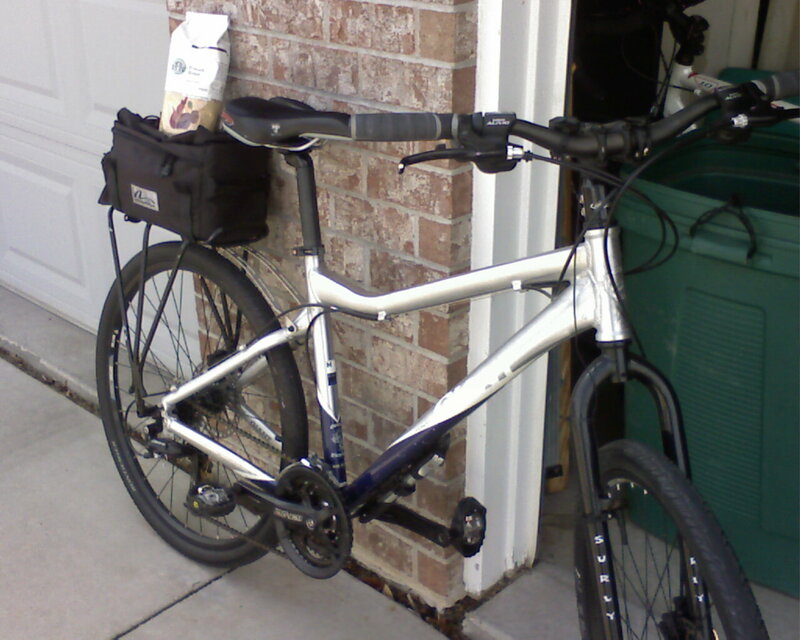 I’d only had to push the bike uphill for about a mile, and had reached my goal for the day. It was a very good day on the road. “I can do this,” I was thinking. That put a smile on my face, believe me. 30 mis north of Flag. Got a good start on the day. Only had to walk about a mile on one climb. May have found my climbing gear! Hope so. Nice weather, a bit windy. Rolling terrain now, so should make better time. Will post pics later. 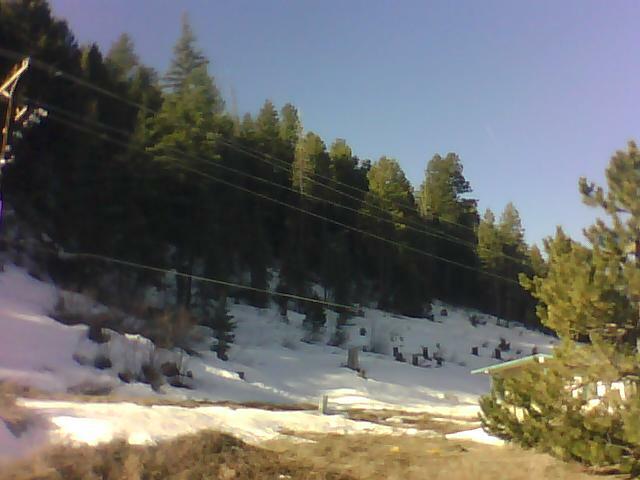 Well, I made it to Cameron today, a little hamlet on the Hopi reservation, 51 mis north of Flag. This was my goal for day 3, with a rest day today. Since I rested yesterday instead, I figure I can say the schedule is OK. The riding was good today. Mostly good roads, not too much traffic, not too many climbs. I feel pretty good. Tired but not wiped out, but also a little bit raw–down there. 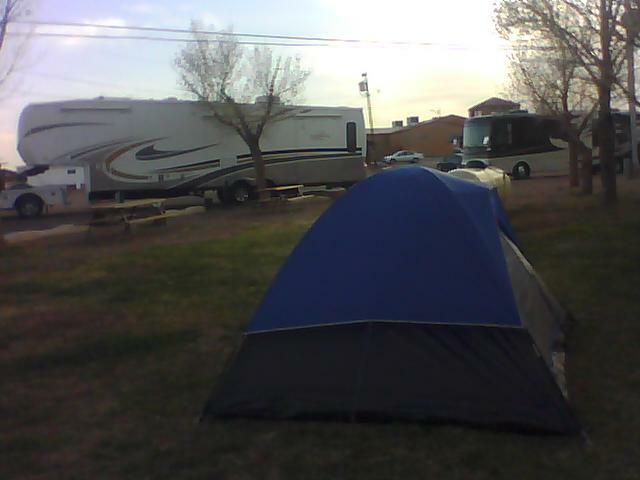 Hope to sleep well tonite, but very windy, so will see. Will also check the warmth of my bag. Gonna get cool tonite. Looking forward to another good day tomorrow, should have the wind at my back all day.